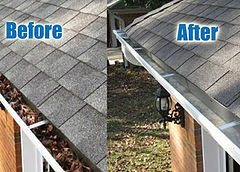 Gutter cleaning by professionals with over 30 years experience. Firstly we do a thorough survey of your gutters using a HD video camera. 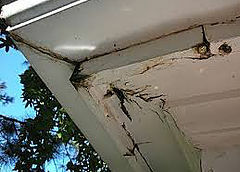 We can then show you the inside condition of your gutters. 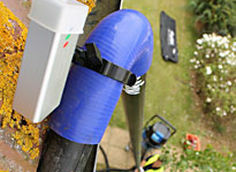 Then, using a combination of high tech vacuum, camera and traditional techniques, we clear your gutters and make any repairs that are needed leaving the gutters working like new. We recommend this to be carried out every year. You have no trees around you, you say! 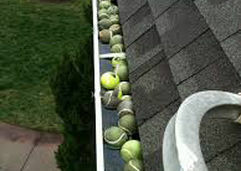 You will be amazed at what has collected in your gutter waiting to cause a blockage: leaves, moss and tennis balls to mention a few. 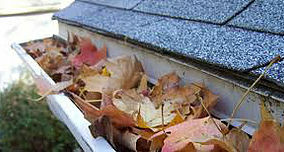 Out of sight out of mind, your gutters are just there doing their job, but are they? If you are of a weak disposition stop reading now! 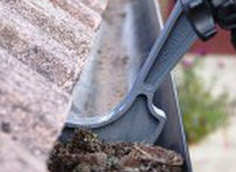 The damage to your property from an overflowing or broken gutter can do an enormous amount of damage to your home and be hugely expensive to repair. 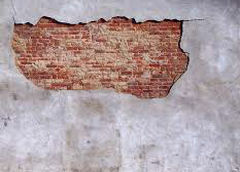 Overflowing water slowly enters your building through the joints between the bricks, making its way through the mortar and plaster until it finds some timber. Now it can really make itself at home! Saturating the wood and spreading. 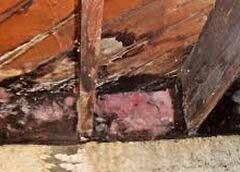 Any dormant dry rot spores are now brought to life, remember preventative treatments on timber are a fairly new development and only guaranteed for 25 years. Once the rot is being fed it can grow up to a metre a day! Sucking out all the natural moisture in the timber making its way through your house, turning the wood to dust. The first you will know about it is a few damp patches around the walls and a musty smell, you might notice movement in your floors and doors not shutting properly. 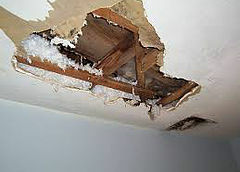 You call in a builder to take a look, he removes a floor board and discovers the extent of the damage. Rotten floors and timbers are removed, plaster removed to discover how far the rot has travelled. Then all has to be reinstated: new joists, floor boards, plaster walls and wood work, re decorations with major inconvenience at a cost of many thousands of pounds. Its not only the interior of your home that can suffer, an overflowing gutter can cause water to run down the render, it enters by a small crack making a damp wet area between the bricks and render, the render will slowly lose adhesion with the bricks and areas will crack and break away. If you do not see an email from us within a few hours please check your spam folder. 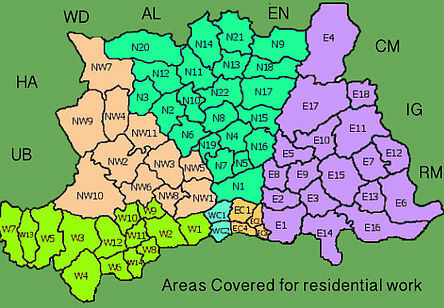 Serving: Barnet, Hadley Wood, Arkley, Potters Bar, Southgate, Brookmans Park, Totteridge and Whetstone, Finchley, Highgate, Hampstead, Muswell Hill, Golders Green, Palmers Green, Chigwell,Chingford, Woodford, all London Postcodes, Hertfordshire and Essex.